The riveting true story of thirteen-year-old Mary Wade – one of the first and youngest British convicts to be transported to Australia. Raised in the slums of eighteenth century London, Mary is sentenced to death for a petty theft at the age of just thirteen. While she is shut up in Newgate prison awaiting execution, her sentence is commuted to transportation to an Australian penal colony. So Mary sets sail aboard a prison ship to the other side of the world. Australia brings the promise of a new life, but it is also harsh and wild. Does Mary have what it takes to survive in this land of danger and opportunity? Valerie Wilding is an experienced fiction writer and school librarian. She has recently written Discovering Dinosaurs for the Double Take series, and has also written for My Story, Pickle Hill Primary and Top Ten. 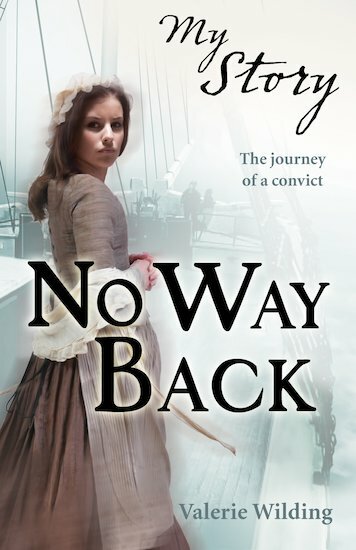 Ilove it The riveting true story of thirteen-year-old Mary Wade – one of the first and youngest British convicts to be transported to Australia. Raised in the slums of eighteenth century London, Mary is sentenced to death for a petty theft at the age of just thirteen. While she is shut up in Newgate prison awaiting execution, her sentence is commuted to transportation to an Australian penal colony. So Mary sets sail aboard a prison ship to the other side of the world.